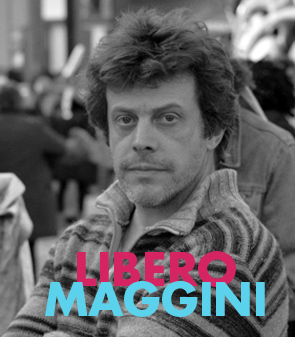 Libero Maggini was born in 1970 in Viareggio; son of a scultor and a potter, since he was a child he approached the art world. His artistic inclination took him to attend the Artistic high school in Lucca and after an experience in London he also graduated at the Accademy of Fine Arts of Carrara. 2008 was the year that marked his career; in that year he was asked to create a sculpures group, called MAGGIO, for the city of Viareggio. Beside the sculpure activity he's now approaching also the graffiti's technique.